I'm expressing my disapproval of our current administration by creating protest imagery using a variety of photographic techniques. 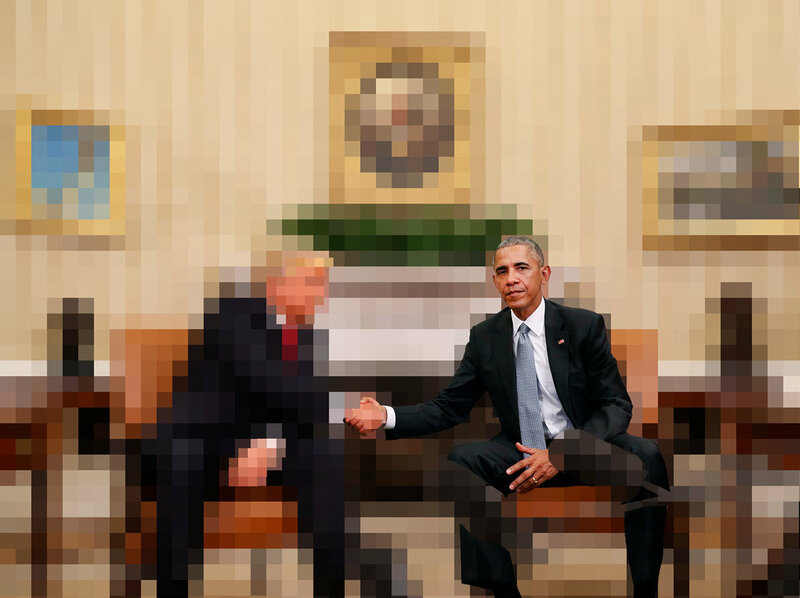 Pixelization, glitching, and mutilation of physical prints are common techniques that I use to transform appropriated images into something new. I am also combining prints and physical objects, and then rephotographing the three-dimensional collage.